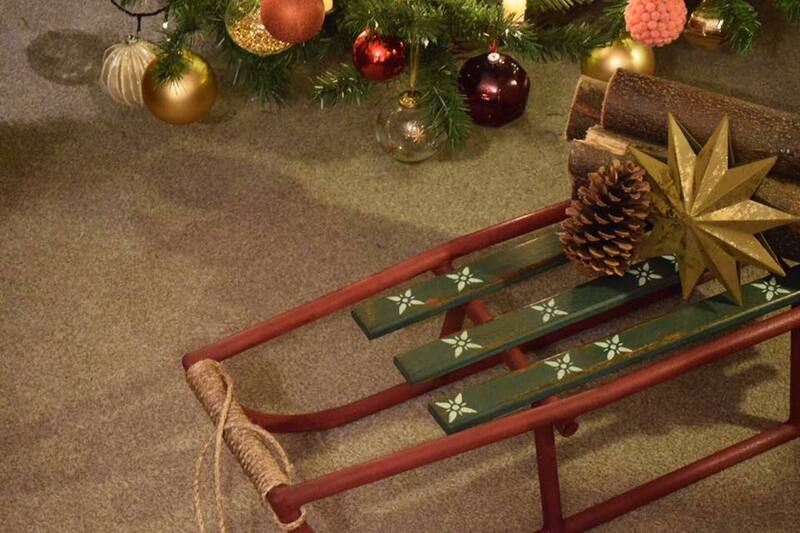 If you find a sleigh or sledge in the shed why not give it a quick make-over for the festive season with some of my favourite Christmas colours? I used Burgundy and Olive but you could use Primer Red and Chateau Grey by Annie Sloan and a light neutral like Old White or Pure for the snowflake details. You’ll also need a ball of rugged twine to create a handle. 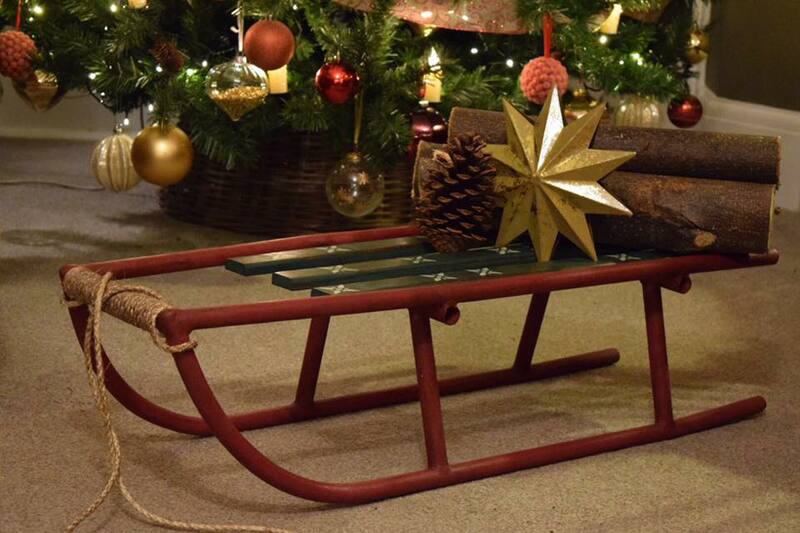 As you see above my sledge was pretty rusty but I was able to just give it a quick clean and rub down to get all the rusty bits off and just apply a coat of Burgundy by Annie Sloan. 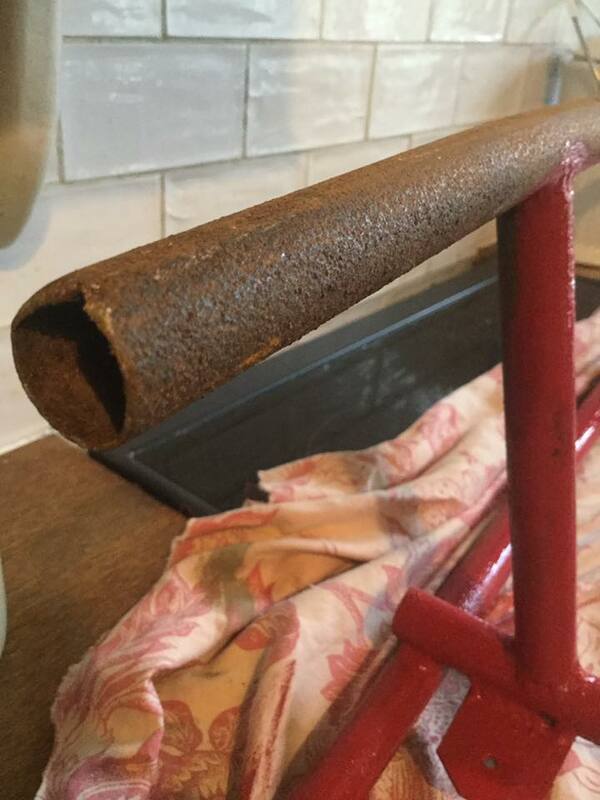 As long as you get all the flaky bits off it should be OK, but a very rusty surface may require a primer. I painted the wooden slats in Olive and used Annie’s sanding pads to rub back the edges after clear waxing to give it a lightly distressed rustic look back to the wood so it looks naturally weathered. Above gives you a close up on the snowflake inspired stencils which I hand cut, but you can use small parts of bought stencils. 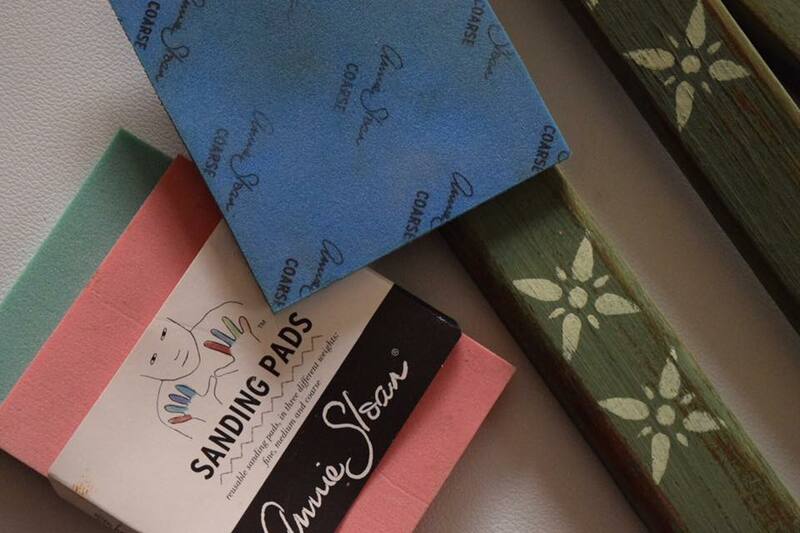 You’ll find lots of suitable designs by my super talented friend Nicolette Tabram. Plus her book Modern Stencils makes a really super Christmas gift for creatives – it even has stencils inside! 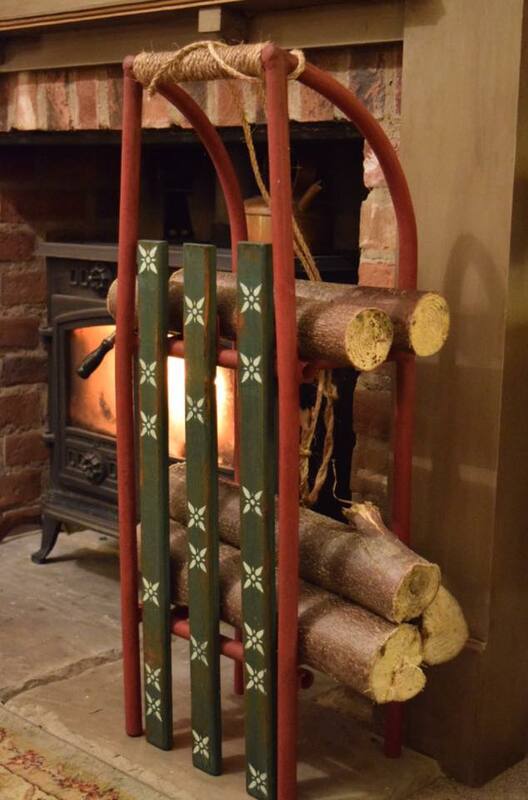 Because of the shape of the design I decided to stand the sledge on its end to create a quirky log store. 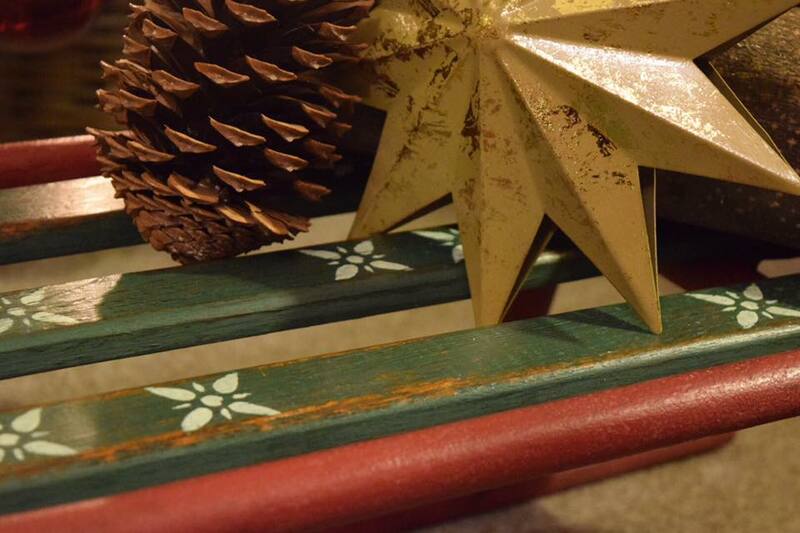 I used rustic twine tightly wound together to cover the front of the sleigh and left a long loop handle for styling it under the Christmas tree. It’s a really simple project to update an old family heirloom into something you can treasure and use for years to come. It looks fabulous piled with presents and there’s space under and on top. 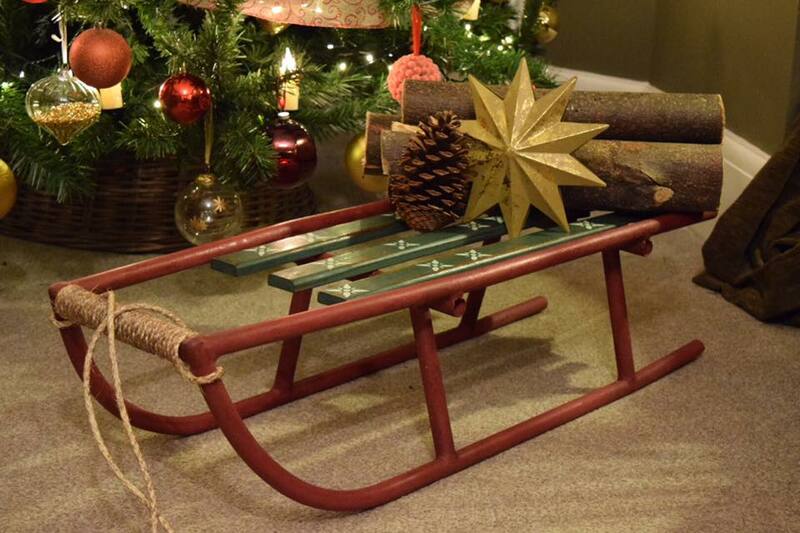 I’d love to see your upcycled sledge projects. Please share your pictures on my Facebook page or here.